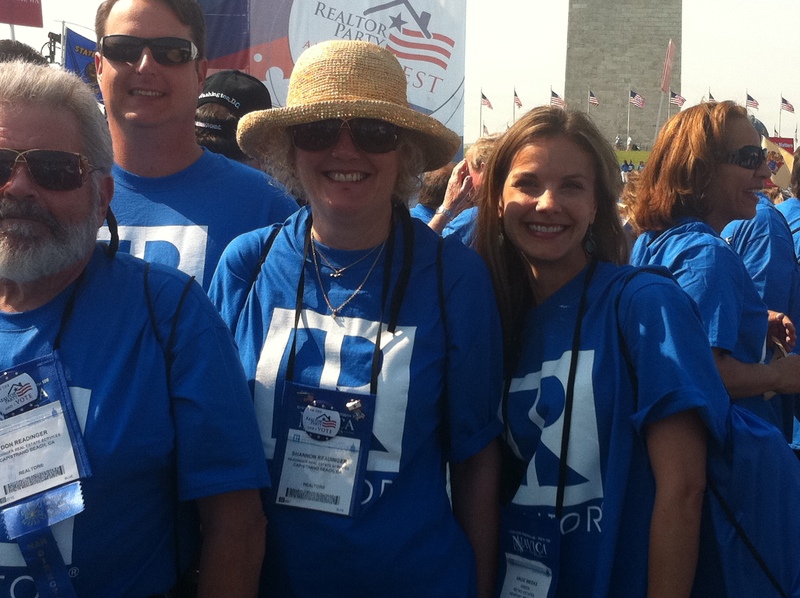 Homeownership Matters Realtor Rally in Washington DC a big hit! According to 13,000 Realtors, their clients, and nationwide political figures it sure does! On Thursday May 17th there was a sea of blue at the Washington Monument to support the most basic American Dream, owning your own home. Currently politicians are in discussions and debate about our Mortgage Interest Deduction (MID), and the taxation (or lack thereof) on gains from sales of primary and secondary residences. These tax benefits are crucial to the SHORT TERM value of owning a home over renting, and I was there rallying to protect this for our past, present, and future clients. Now is an excellent window of opportunity for renters to buy a home, as interest rates are the lowest they have been in years, and the prices of homes in Orange County are also lower than they were 5 years ago. Many first time buyers are getting into the market right now, and we are seeing properties properly priced in the under 400K range sell within days, with multiple offers. Eventually, this will drive prices back up, but it has not yet. The Weeks Team is here to be your homeownership advocate. If you have any questions or concerns about your neighborhood, home prices, political real estate bills, upgrades, etc, don’t hesitate to contact us! We also looooove to educate renters on how to buy their first home – so when you tell your friends how important homeownership is to YOU, don’t forget to give them our card or 877-230-3211 number, so we can help them enjoy the benefits as well!